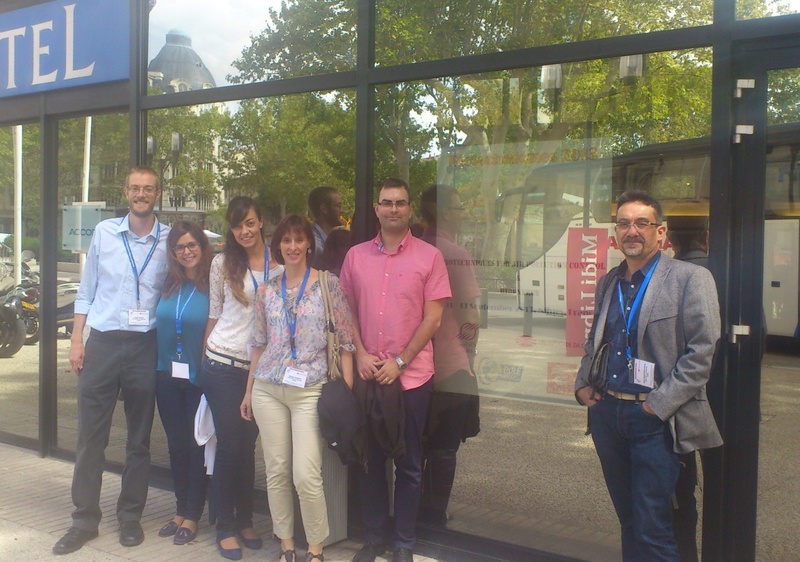 The Next Air Biotreat researchers of the GI2AM group of the Universitat de València presented three oral presentations at the 5th International Conference on Biotechniques for Air Pollution Control and Bioenergy celebrated from 10-13 of September in Nimes (France). 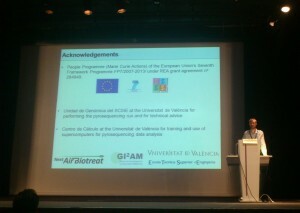 Mari Carmen Pérez presented the work entitled “Abatement of styrene waste gas emission by biotrickling filter”, Pau San Valero presented the work based on mathematical modelling of biotrickling filters “Dynamic model for the treatment of VOC emissions in air under intermittent and oscillating conditions using biotrickling filters”, and Kevin Portune’s presentation “Investigating microbial populations in bioreactors using pyrosequencing and fluorescence in situ hybridization: a comparison of techniques” showed a novel application of pyrosequencing for microbial identification. 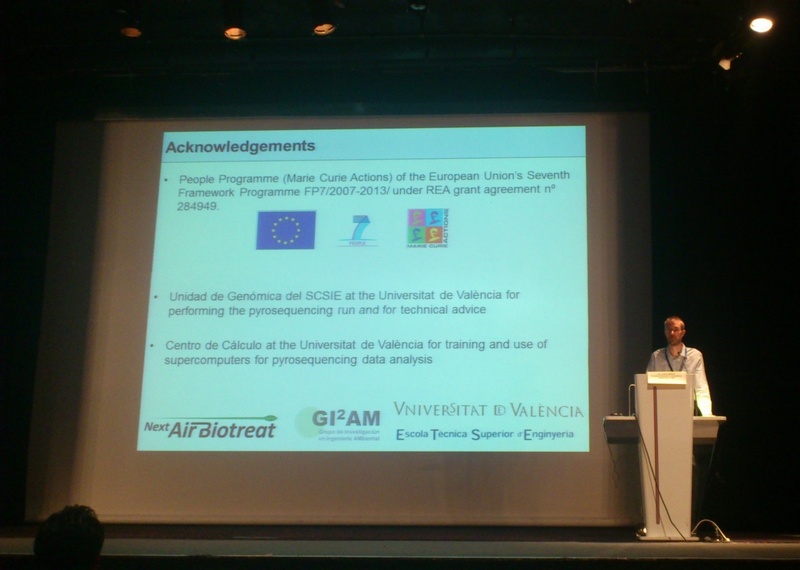 The work presented is an example of the multidisciplinary research developed by the GIA2M group in the Next Air Biotreat project.